The Google Play Store’s user experience has never been extraordinarily consistent — especially when it comes to search. The Mountain View, California-based company might have made a name for itself in search, ironically, but the app-finding features in Google Play were subpar for a number of years. But lately, there have been a number of improvements addressing the Play Store’s shortcomings, from filter tags to instant applications. 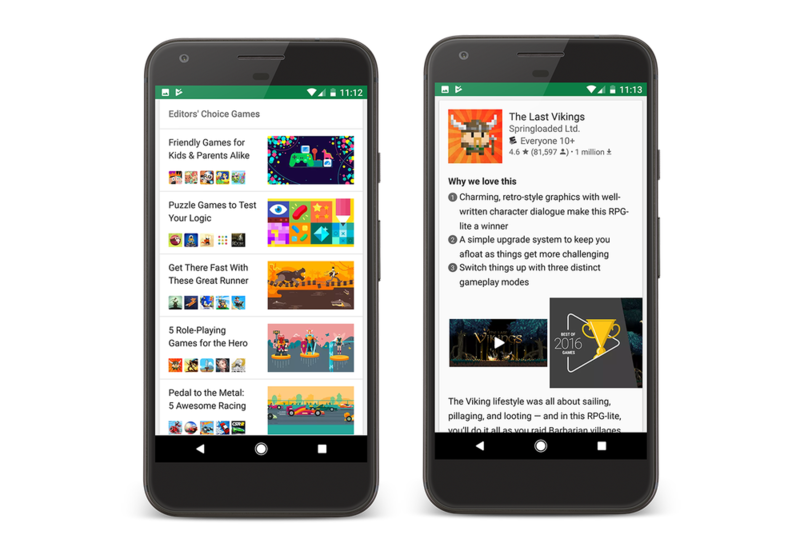 And this week, Google began testing another enhancement: Video and slideshow previews for applications and games. Reddit user Kennett-Ny spotted the change this past weekend, and it’s relatively straightforward. When you launch the Play Store and start scrolling through applications, every now and then you’ll see an animated preview of top-rated applications and games. Some of the applications are generic, while others fit certain genres (such as RPGs). If the recommended game or application has a video, you’ll see a “play” button for it, which will play the embedded video without you having to dive into the application or game’s Play Store listing. If it doesn’t have a video, though, you’ll see a slideshow of screenshots instead. They’re in a carousel-type format you can scroll right or left. The new Play Store feature’s a boon for app searches. Not only does it save you time, but it can also save you data while you’re browsing Google Play. Let us know in the comments if it’s showing up for you yet.